With dozens of appliances on the market, consumers often turn to toaster oven reviews to determine the best product for their needs. Where some households require a small toaster, others must have a huge appliance to get everyone out the door in the morning. 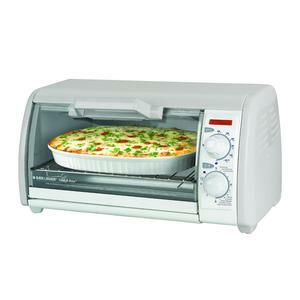 Some consumers even look for alternative toaster oven features, including a rotisserie option. 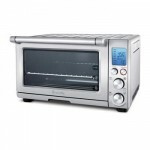 For your next appliance investment, Black & Decker offers their Toast-R-Oven Digital Rotisserie Convection Oven. Evaluate the pros and cons to this oven to decide if it works for your family. Black & Decker doesn’t skimp on the features for their best toaster oven. 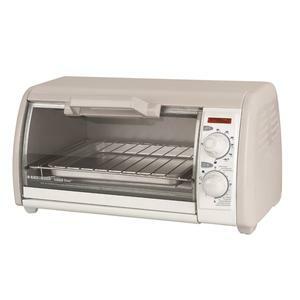 This product holds up to six standard bread slices for a quick weekday morning toasting session, for instance. 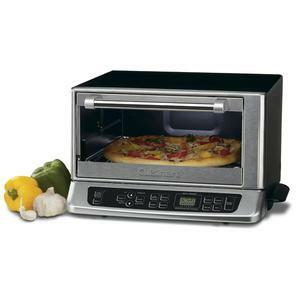 The oven uses a convection design to heat all foods. Convection is literally a fan-heating system for uniform cooking. Find yourself baking, toasting and roasting in this oven. The crumb tray is easily accessible from the front with a baking pan and rotisserie tools available as standard accessories. Several toaster oven reviews tout the brilliance of this appliance’s rotisserie design. When properly attached to the skewer, a 4- or 5-pound chicken is easily slow-cooked. Consumers report an even cooking technique across the meat along with a relatively quiet heating mechanism. Convection ovens are usually notorious for a loud fan sound. Black & Decker has a quiet fan construction so the rotisserie can spin for hours without major noise pollution. 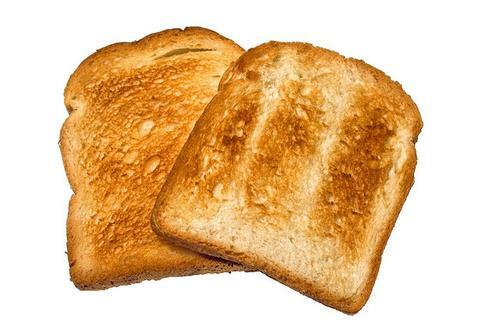 The best toaster oven should be able to toast and bake, but consumers report poor quality when it comes to basic toast. 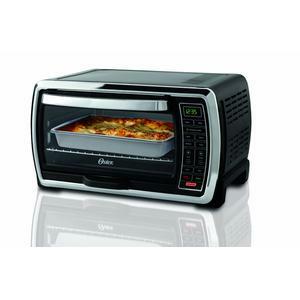 The convection heat is perfect for baking while precise toasting is often off the mark. I’ve heard some who mentioned how they have burnt bread edges or the items aren’t toasted at all. There doesn’t seem to be a happy medium where the entire bread slice has a slightly brown, toasted appearance. 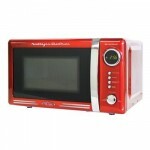 In a number of oven reviews that specifically discuss about the Black & Decker Toast-R-Oven, some users share how they ended up having a separate traditional toaster to supplement this oven. When a toaster oven is as feature-filled as this one, the control panel could easily be a complicated design. Black & Decker answers their critics with a clear and simple control panel. A digital display shows times in bold black and large font. The buttons are clearly marked, allowing anyone to engage with the appliance without relying on an instruction manual reference. Wipe the buttons down when they get dirty to refresh the appliance’s look while retaining the labels’ clarity. Consumers are relatively happy with their convection oven, but the home shouldn’t fill with too many food scents. Reports of chicken smells left over days after cooking are concerning. Some units show obvious heat leakage at the door edges. I’ve come across a few people who mentioned how they feel the heat emanating off the edges, forcing the oven to continually fluctuate its temperature. The manufacturer may need a better sealing design to please these customers in the future. 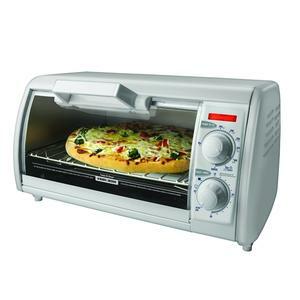 The best toaster oven is never a unanimous choice in the marketplace. In fact, each appliance purchase is up to the final consumer. Everyone has a varying opinion about their toaster oven so use your best judgment and priorities to narrow down the field. Pick the appliance you feel is correct to be happy with cooking each day.